It’s hard to beat the tangibility of planting trees, doing battle with invasive plants, or cleaning up a beach. 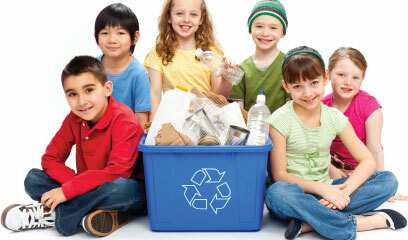 Opportunities abound, especially during Earth Month and many organizations have opportunities all year long. Just by participating, you and your kids learn about nature on location, and in some cases, organizations deliberately add a learning component. EarthCorps, for example, includes reflection as part of its events; and Friends of Cedar River Watershed sometimes combines work parties with a lesson – check out upcoming Earth Day events here. Find upcoming volunteer opportunities on ParentMap's calendar. Minimum age range: Dependent on organization. EarthCorps, for example, welcomes children (and babies!) at most events. 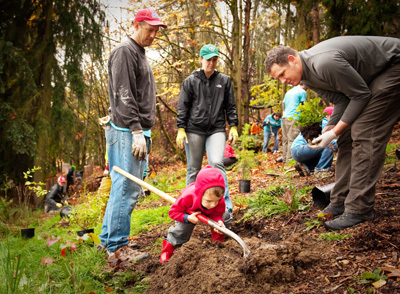 Tacoma Nature Center notes that its volunteer days are better suited for older children. Perks: An opportunity to give back to places that families use so much, to learn plant names, and weed-pulling skills that can be applied at home, too! To be aware: Unless a work party is explicitly open to children, parents should confirm that it’s okay to bring a child and to find out more about the work and terrain. 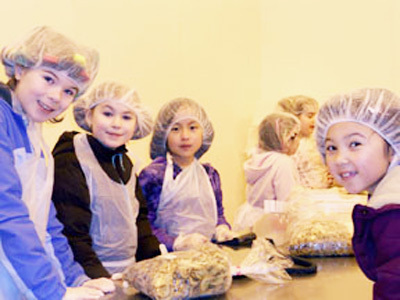 Kids as young as six can work alongside their parents to help organizations like Shoreline-based Food Lifeline and Tacoma-based Food Connection to package large food donations for local food banks and shelters. A number of nonprofits hold regular community work parties and encourage families to attend. At Food Lifeline, online registration is required for volunteering. Heads up: North Helpline has three great fundraisers coming up in April and May. Perks: Exposure to issues around food or hunger while doing real work; opportunity to practice social skills, math skills and food-prep skills. 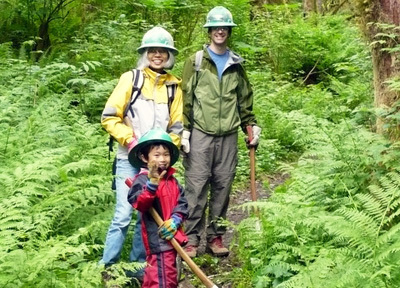 If your kids are comfortable with hiking, join a Washington Trails Association (WTA) work party to maintain trails in some of the most beautiful spots around Puget Sound; kids younger than 14 are welcome with an adult. Families are also welcome to sign up for one of WTA’s week-long volunteer vacations. Minimum age range: No official minimum, though the WTA volunteer coordinator notes that the vacations are geared towards older kids (12 and up). WTA also offers teen work parties and volunteer vacations for ages 14 and up. Want to flex your family’s green thumb for a cause? You can help plant, weed, and harvest in community gardens such as the Magnuson Children’s Garden in northeast Seattle, or help grow food for low-income families and seniors at places like the Giving Garden at Marra Farm in south Seattle (run by Solid Ground’s Lettuce Link program). Seattle Tilth also connects gardeners with fun places around Seattle to volunteer, drop-in work parties, and other grassroots organizations, like the Just Garden Project. Perks: On-the-ground garden lessons from experts and peers; the satisfaction of addressing issues like hunger in a very hands-on way. 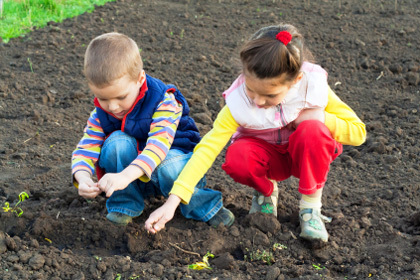 Many community gardens around the Sound encourage family volunteering; check your local garden or get in touch with your local sustainable community network. Call up that local nursing home that you’ve been driving by and see if you can bring the kids for a visit (extra points for babies). If your family plays music together, you can put on a show. You can also sign up to become a regular visitor to seniors who are aging in their home. And if it’s easier to volunteer from home, you can make cards and letters that will bring a smile to seniors. Perks: Time spent with the elders in our society, exposure to issues around aging and death. NEST, a nonprofit in northeast Seattle, uses volunteers to provide companionship and care to seniors aging in their homes. Fostering an animal through organizations like PAWS or the Seattle Humane Society can help children learn responsibility, and build empathy and compassion. 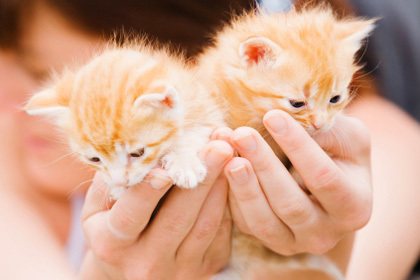 Foster care typically involves two weeks to three months of temporary care for animal awaiting adoption; foster families pick up their animal from the shelter, transport it to occasional vet appointments, and provide loving care and supplies. Families can also help raise money, donate needed items, or participate in events like the annual PAWSwalk each summer and learn more about pet care. 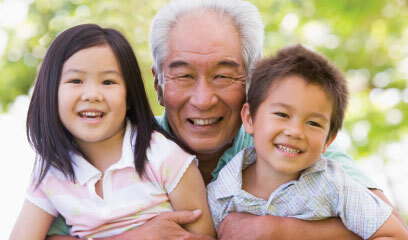 Minimum age range: Foster parent typically must be 18 or older, but the whole family can help. Perks: Improving the lives of pets and learning as a family about animal care. Children who are preschool age and older can practice their sorting skills by helping nonprofits who work on behalf of young children and families organize incoming donations of children’s clothes and material goods. 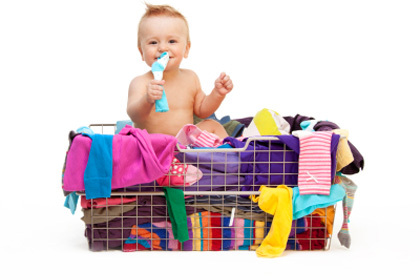 In some cases, you can even sort and launder donated clothes from home -- a great option for busy families! 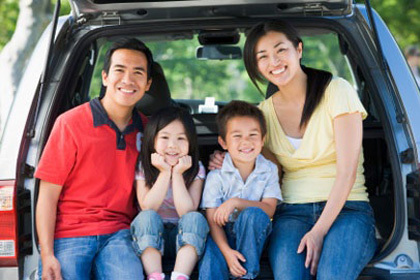 Perks: A tangible way for children to help children, practice motor skills, and involve the whole family. Minimum age range: Since adult is primary volunteer, none. Perks: Low bar for involvement, good entry point into volunteering. As children grow, discarded bikes sit in the garage collecting dust, clothes sit in the basement gathering dust – you get the picture! Your family can recycle for a cause by organizing a bike drive for Seattle Bike Works, for example, which donates bicycles to kids and teaches them to fix bikes and ride safely. Or you could organize a donation drive for foster kids at organizations like Treehouse or Seattle Children’s Hospital. 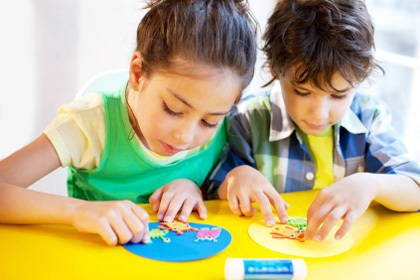 Your kids can make posters and get their schools or teams involved. Perks: Declutter and be green while doing good! Who says you have to sign up somewhere – or even leave home -- to make a difference in your community? With your kitchen table designated as your Doing Good HQ, you can write cards to veterans, sick children, or seniors, decorate placemats for Meals on Wheels, make breakfast bags for Ronald McDonald House, or even grow food in your own home garden for a local food bank. Doing good and giving back has never been so easy! Interested in increasing your family's CQ (cultural quotient), learning about another country firsthand and making an impact without leaving home? Consider hosting an international student or volunteer for a "homestay" for anywhere from two weeks to a year, or beyond. For example, EarthCorps, a Seattle-based nonprofit that trains volunteers (ages 22-26) from more than 80 countries in environmental leadership and restoration, is often looking for homestay families to host volunteers for three and six-month stints. Other Seattle-area options include FIUTS, a UW Hosting and Friendship program that connects overseas students with local families through short homestays; The World Affairs Council, which looks for dinner hosts and homestay hosts for visitors such as Fulbright Students; and AFS, an international exchange program for high school students that brings in more than 2,300 students from 90 countries annually. 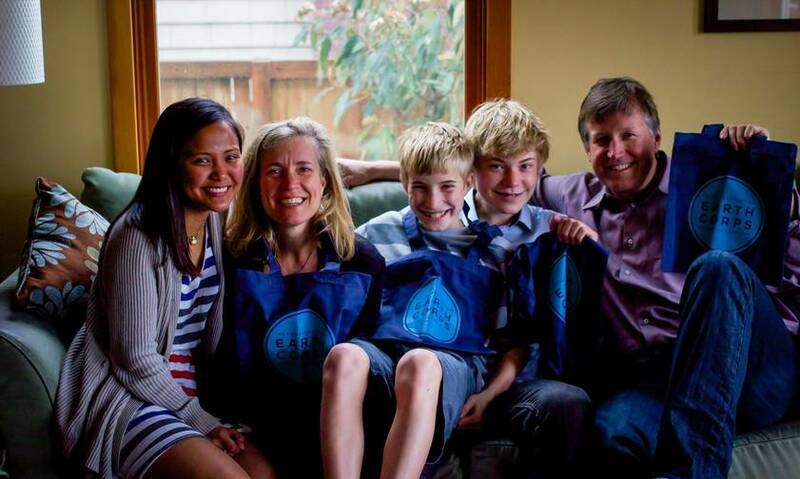 Photo: Pictured is the O'Brien family of Seattle, with Jessa, a Philippine EarthCorps volunteer whom they hosted. Editor's note: These 11 ideas, of course, are just a starting place. If we missed an organization you'd like to see listed, or have an idea for other opportunities we should cover, write emurray@parentmap.com.